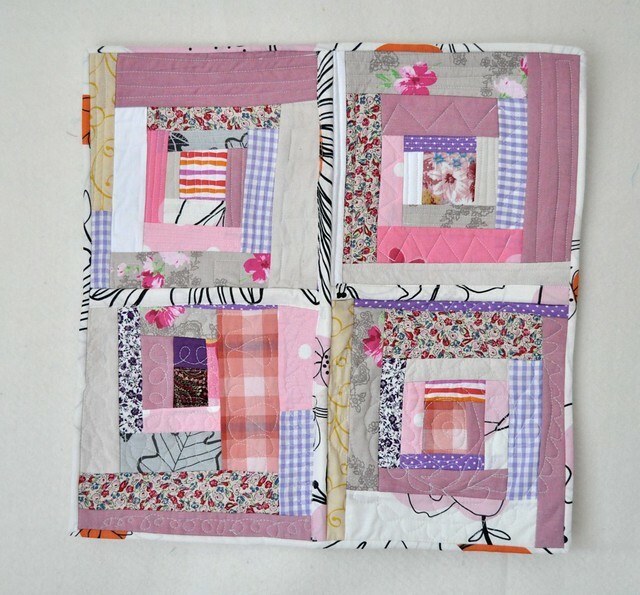 from blank pages...: Little Quilt - Sew, Vote, Swap: Received!! I received my little quilt last week and I Love it! :) The more I look at it, the more I like it too! It is from Aunt-Mary and she did a great job! Thank you! My boys like it too! It's getting to be a regular thing that Hunter will take it and cover up Mabel with it. ;) It's just her size.